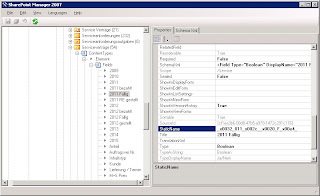 SharePoint search crawler identifies automatically all fields in a given contend source. This will work for all contend types the SharePoint search server can handle per default or an Ifiler is installed. 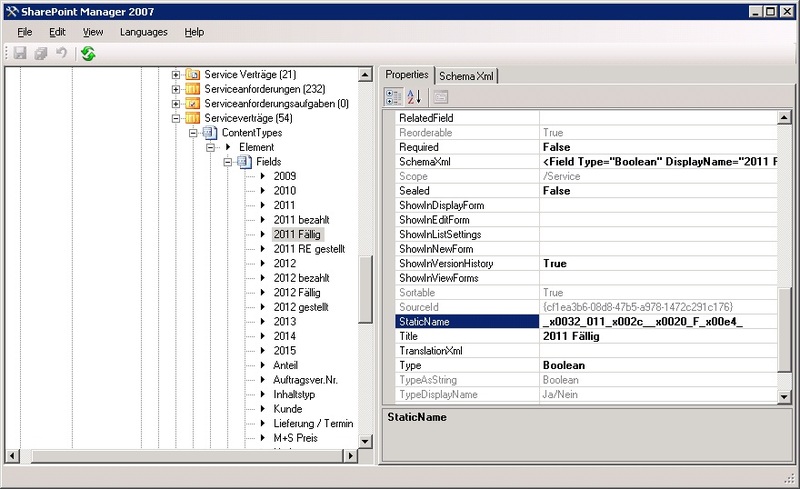 Of cause SharePoint user defined fields in lists or document libraries are crawled. There is an MSDN article that describes how to use custom fields in core search result webpart: LINK. It’s just an easy doing, you have to put you custom field to the field list in the Display Properties node of the search results webparts and modify the XSLT transformation (XSLT) to display the custom property. Details see the link above. But there a two little catches: first is that you have to map the crawled property that includes your customer field to a managed property to use it in search results. But that’s not a real big thing. You can do this using PowerShell or via SharePoint central admin. For example see my post: Bring up crawled contend to the user or this MSDN article: LINK. But to do this you have to find out which crawled property represents you custom field. 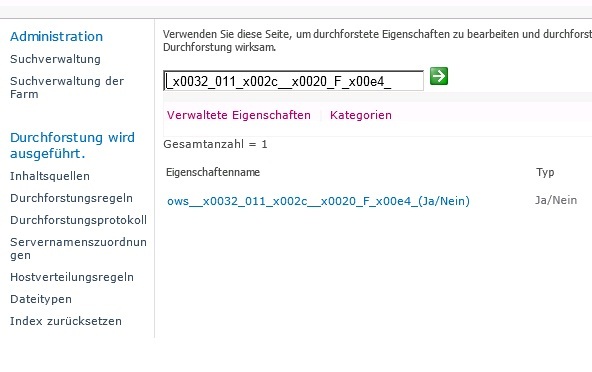 For this you have to find out the static name of the field. Of cause there are several ways to reach this goal. 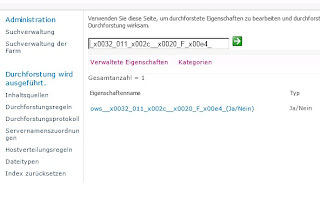 I used SharePoint Manager; a free tool you can download from codeplex: LINK. This will work fine for simple field names, but you see that it can be horrible in case of complex field names.